In my last post (part 1) I begun to tell you about my latest entry for the HSM – a blue Redingote. Here are the rest of it. 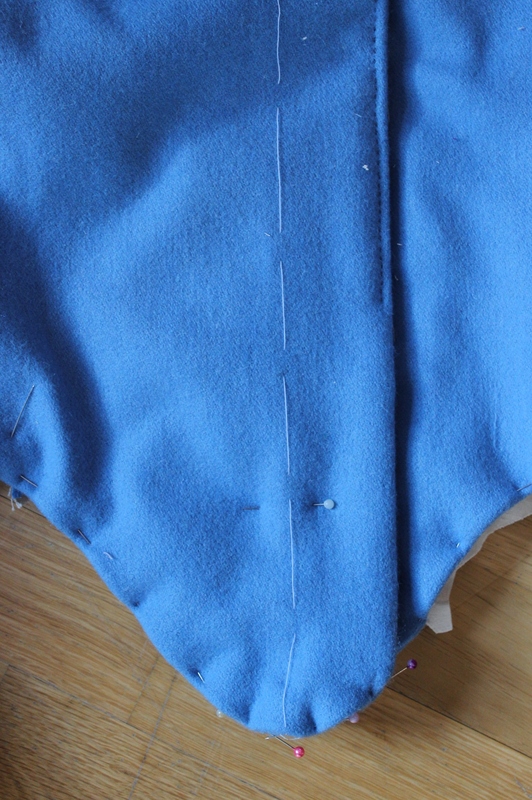 Once the lining was inserted I got to work o the lower front edge. 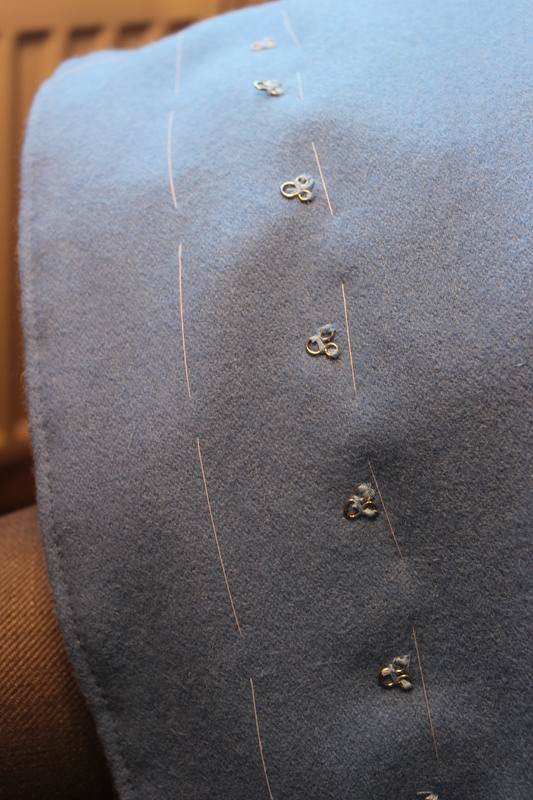 It is always a bit tricky to get the button edge right and when the garment are double breasted and have a rounded edge it is even more difficult. 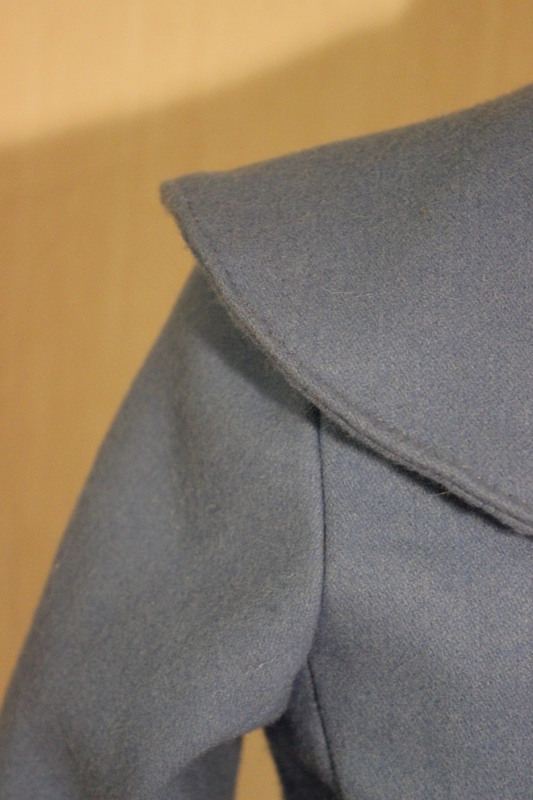 But after lots of pining and folding (and some cutting of excess) I managed to get the edge to look like I wanted. 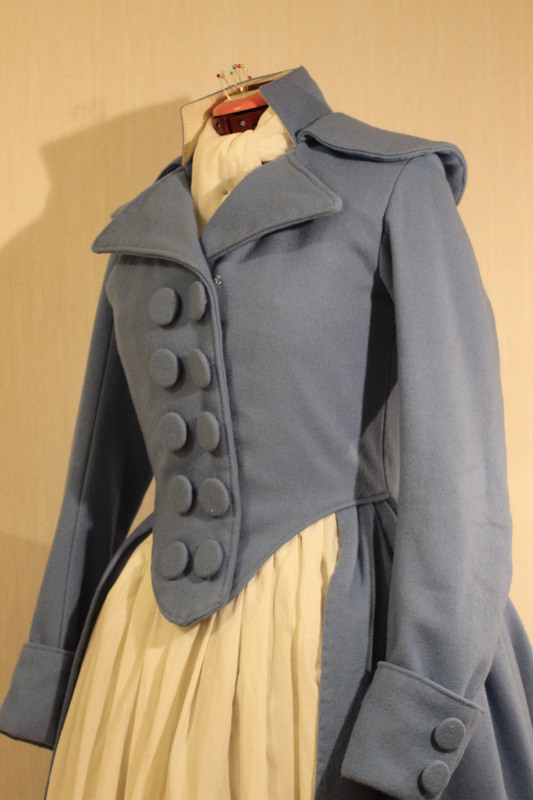 About the buttons (where I left of last time) I decided to cheat, and use hook and eyes. I could not decide on 10 or 8 buttons, so I wanted to postpone the decision to sometimes in the future. 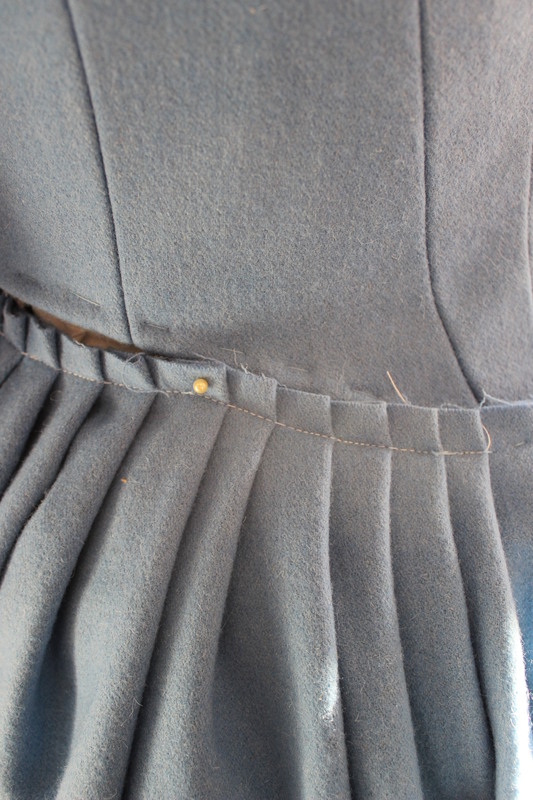 Without buttonholes the dress look a bit strange but I can still change my mind and make them at a later point. 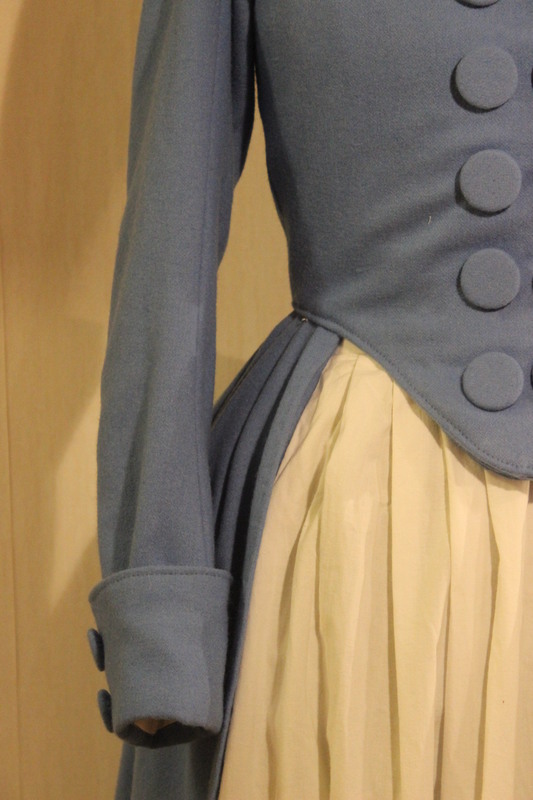 I put the jacket on my dress form to get a better view and to pin the skirt on. 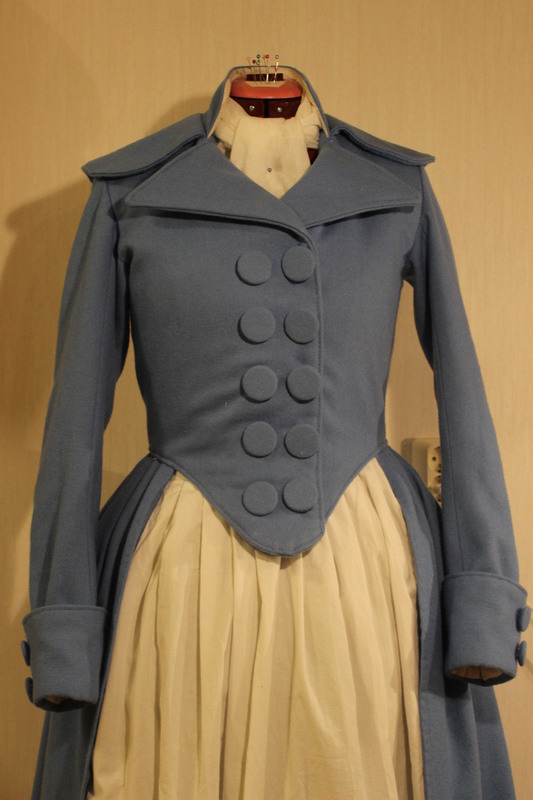 10 buttons and half a skirt. 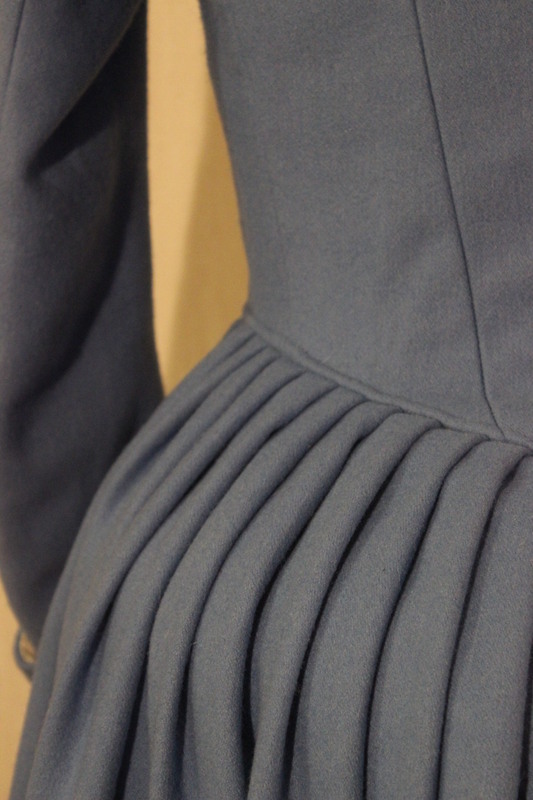 I pleated the skirt into 1,5 cm big pleats hiding a lot of excess fabric at the back pleats. 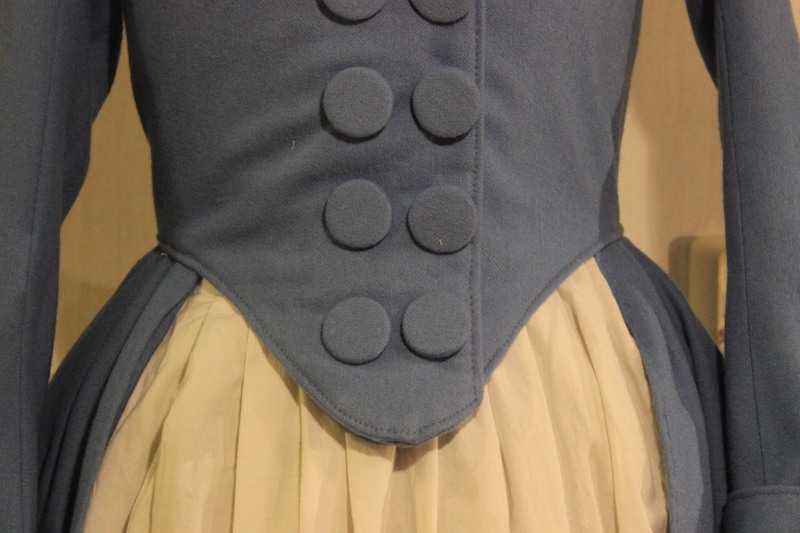 Then I prick stitched the skirt to the bodice. 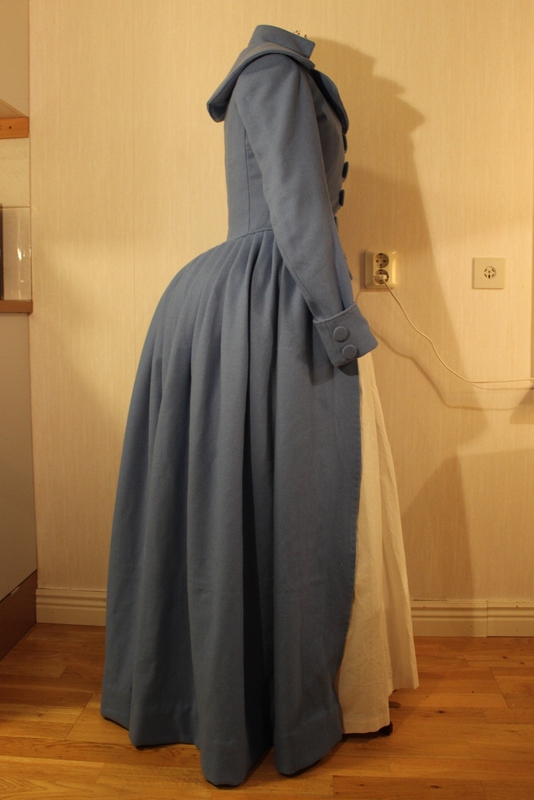 The final thing to do was to hem the skirt, and to give it a final pressing. 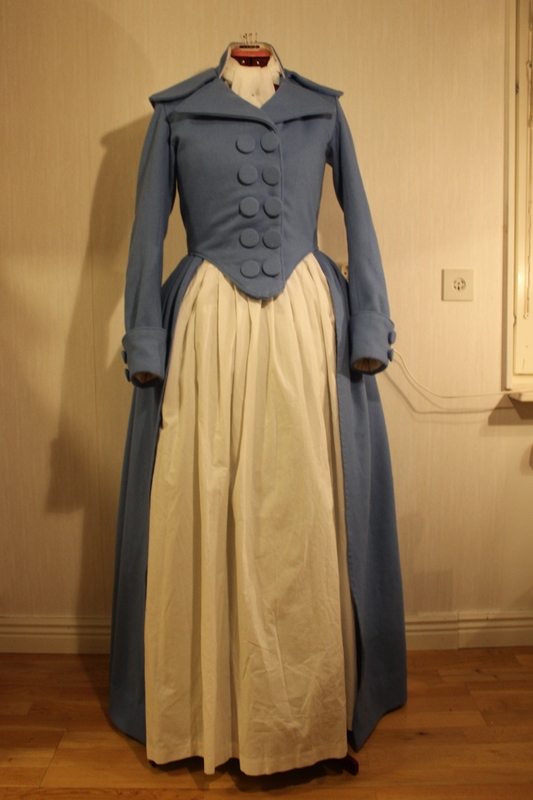 Pattern: Nehelenia Patterns nr E21 – 1790s Redingote. 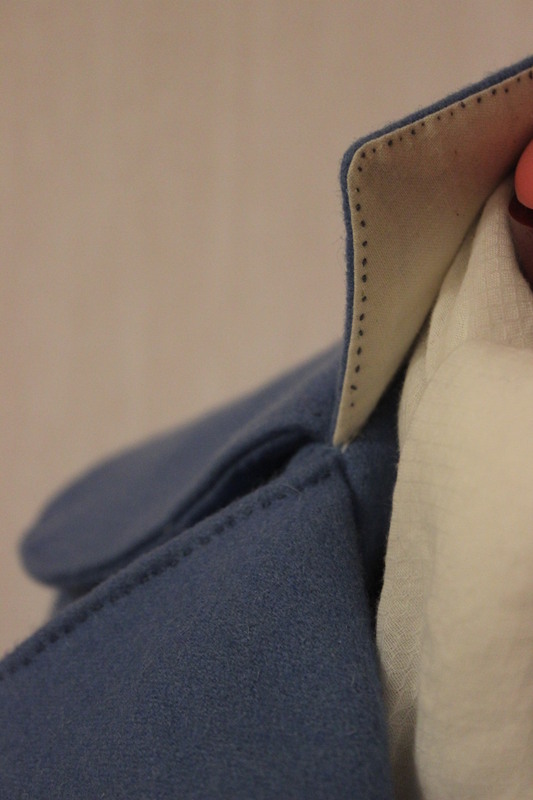 Fabric: 4 m of light blue wool, 1 m of white cotton for lining and 0,5 m of thick linen for interlining. How historical Accurate: So so. 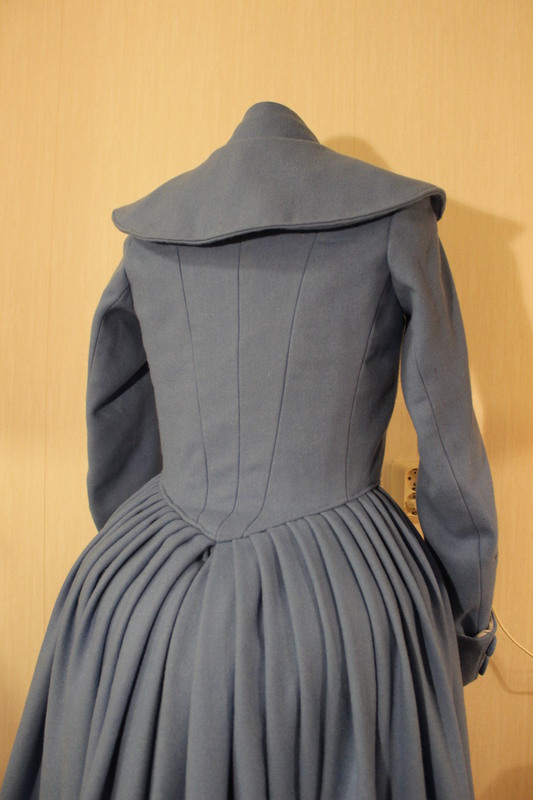 The fabrics and pattern are pretty good, but I used modern construction techniques and made lots of the work sing my sewing machine and polyester thread. Time: A lot. 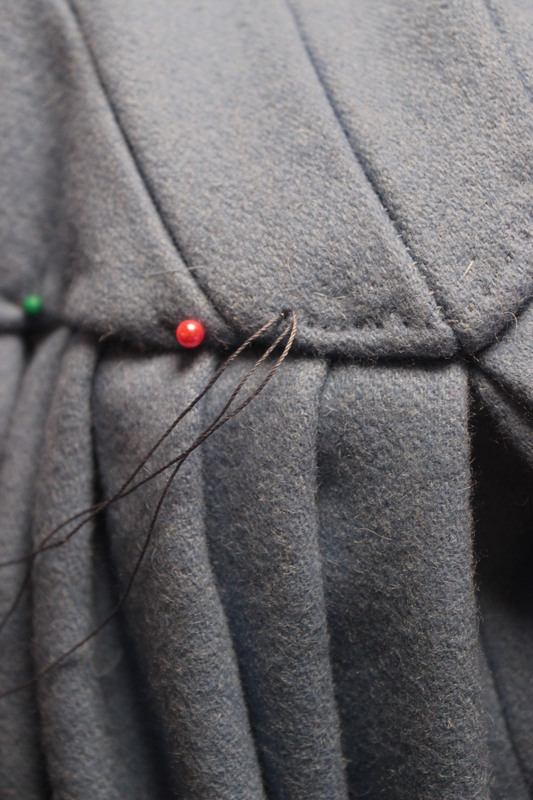 I would guess about 15-20 hours since it’s lots of hand stitching in tere. 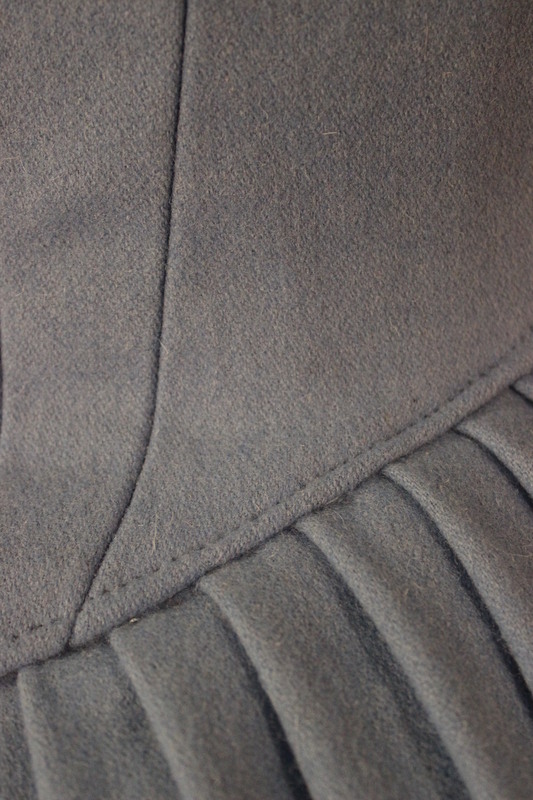 First worn: On February 21 for photos. 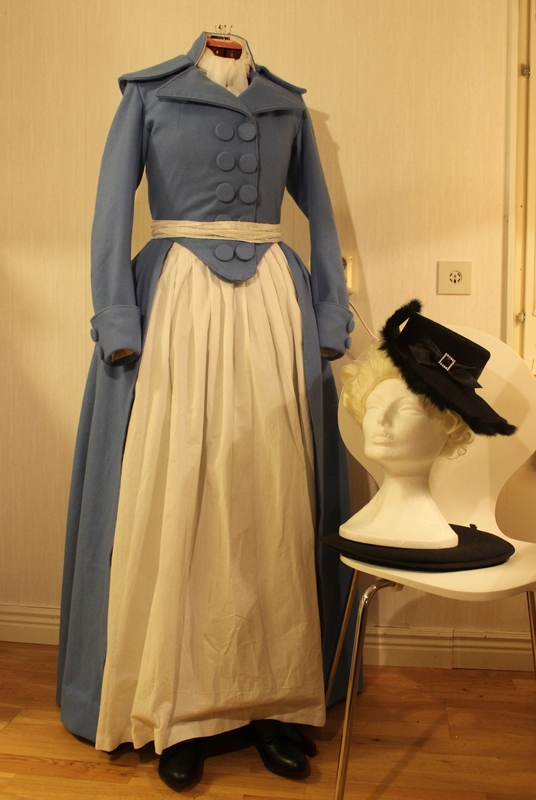 But I would love to wear it on an winter event in the future. 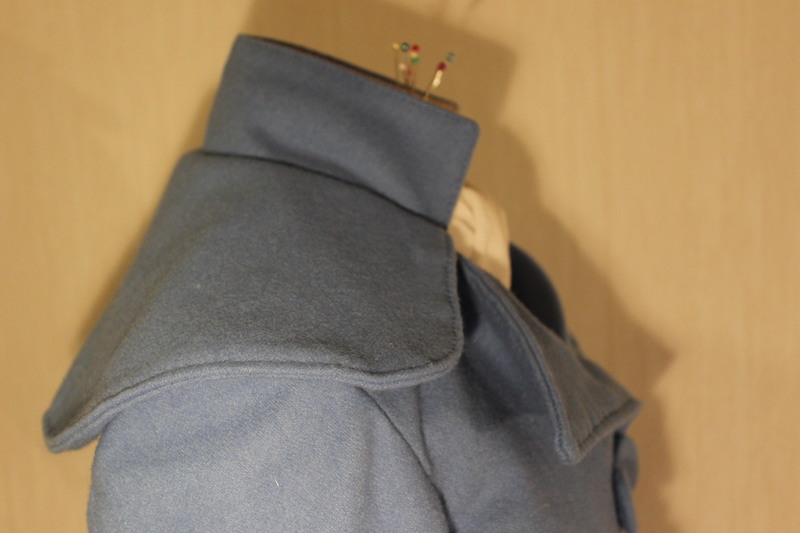 An anecdote: This is probably the one garment I’ve been re-starting (mentally if not psychically) the most times, and I’m so happy I finally managed to finish it (and not even hate it). 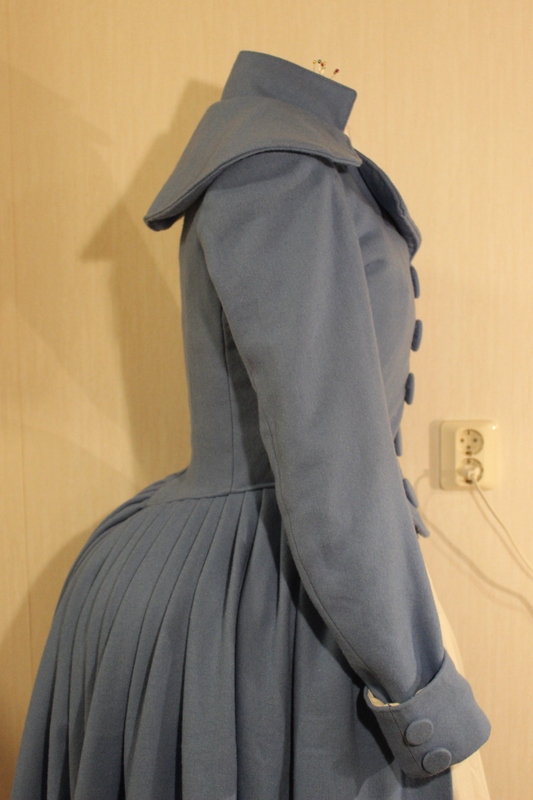 Final thoughts: I love the pattern, and definitely will be using it as a base for more 18th century gowns. But If I could do it again I would have made the overlapping in front wider to get a more distinct double breasted look. 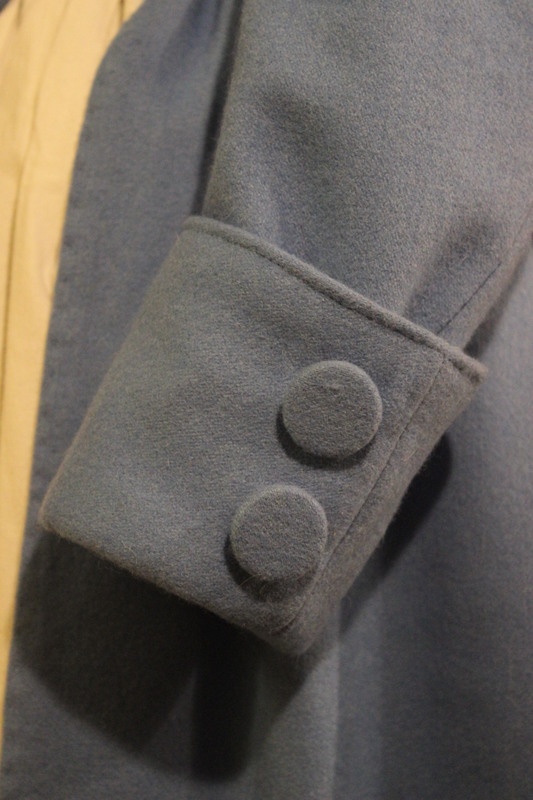 The chunky buttons really give it a unique look, and matching covered buttons always look polished. 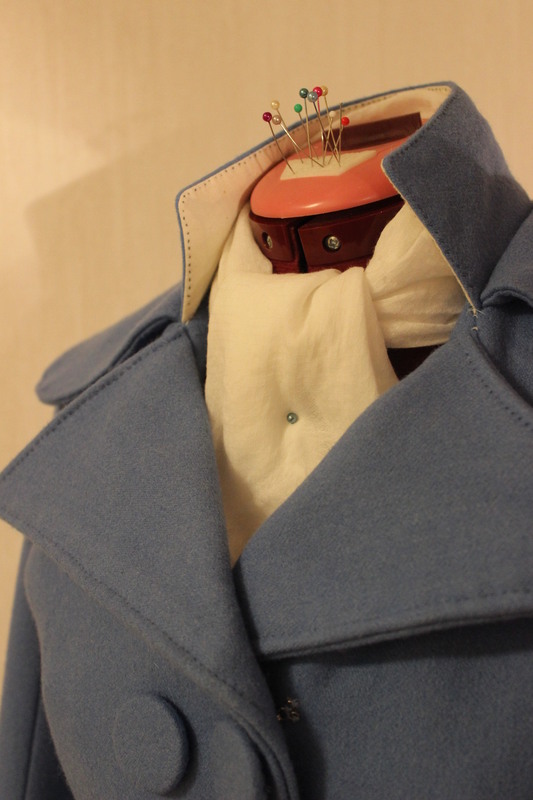 I love making self covered buttons, they can really ad to a garment. I just finished (well, mostly) the same pattern and love it! I’m having a hard time getting to front closure fitting just right but really loved this pattern. 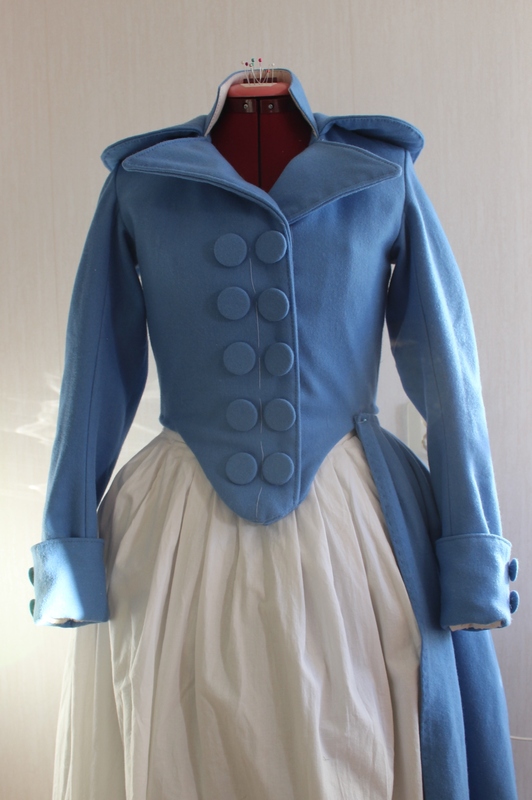 I can really see me using it as a base for lots of 18th century dresses and jackets. 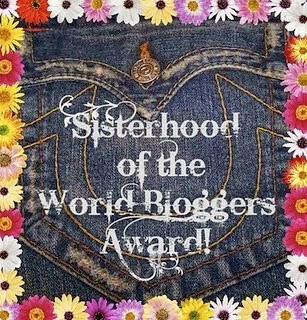 Congratulations on your Redingote, and I’m sure you will figure the closure out. It’s just lovely. If you haven’t desided on 8 or 10 buttons, why not take a photo with both and ask for comments? And just as you know it – 15-20 hours work is not much. 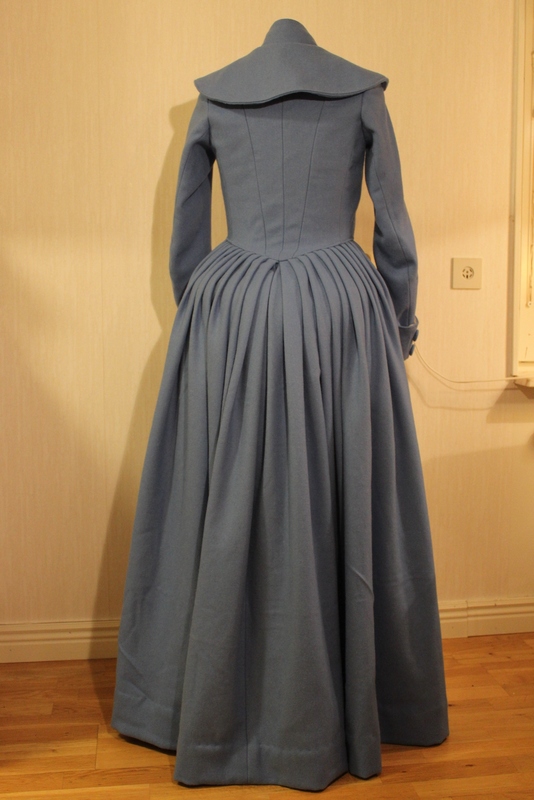 I do not count, but I much be closer to 100 when I make a dress. Thanks for the tip, I may do just that. 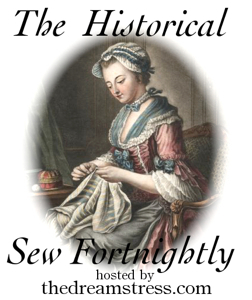 You are so right – 20 hours are not much for such a complicated garment, I guess I just felt like I was never getting it finished with all the delays and restarting. So Sorry about that :-), must have been a bit tired when writing it.